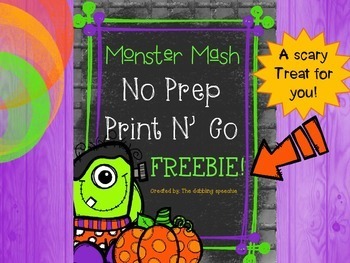 Speechie Freebies: Monster Mash No Prep, Print N' Go FREEBIE! 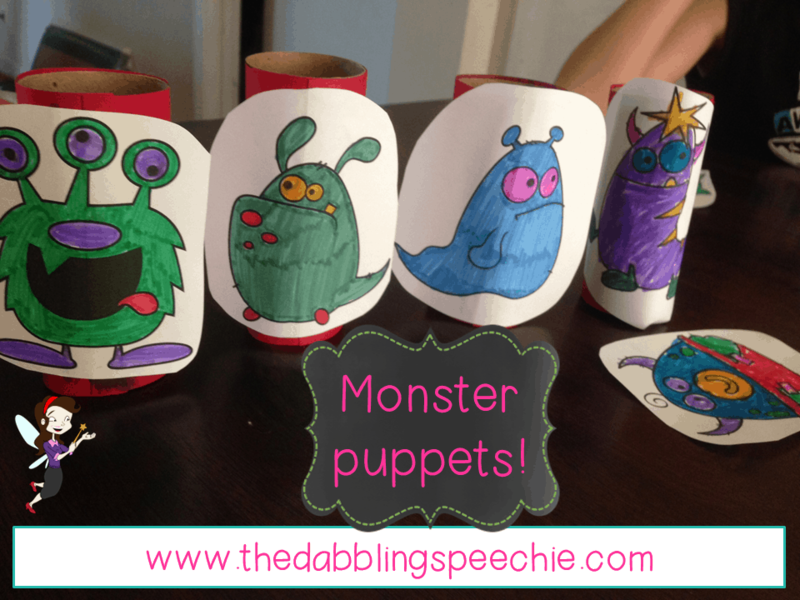 I wanted some easy activities I could do with my elementary students that had a monster theme, so I created a game, print n’ go puppets and a couple of worksheets to use with your speech students! Didn't these puppets come out cute!? 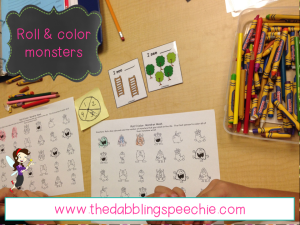 My little ones love my themed roll and color games. It keeps them busy while I get lots of practice in with their goals. 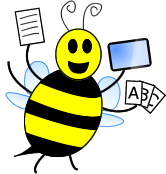 There are some more goodies in the pack, so head over to my blog to get your Monster No Prep FREEBIE!